By now you’ve heard about Meerkat and Periscope - wondrous apps that play up your spontaneity and sense of adventure (or help you become more spontaneous and adventurous). They are free live streaming apps that send real-time video directly to your audience. Meerkat and Periscope capitalize on people gravitating towards anything in real time. Both apps are democratic: you can stream your video to a private audience or to anyone who has the app installed. The live videos are interactive - viewers can comment as they watch. You will see their comments popping up on the screen and reply to them on your live broadcast. Meerkat and Periscope allow the audience to share your experiences with you - right on the spot. Both apps can do wonders for promoting your real estate business if done right. Still unsure how you can use them in your life as a real estate agent? We got you covered. A real-time home tour is a memorable way to showcase a listing and its features to potential buyers who can’t be there in person. A home tour also helps build a meaningful relationship with your clients by sharing a home buying journey with them. Check in with your buyers beforehand to make sure you make the most of a virtual home tour. During the broadcast, ask your clients to direct you and pinpoint what areas of the house they want to see the most and in what sequence. Invite viewers to be part of your day as you walk along a local trail, explore a nearby park or stroll around your town’s downtown. Interview local business people as part of your local explorations – not only this will promote your community; it’ll also deepen your business relationships in the area. You can even mount your phone on your car dashboard and stream a driving tour of your neighborhood. You can visually show routes to local popular attractions or even demonstrate the best way to get to one of your open houses. Share your professional advice freely by providing live demos by yourself or with other pros like staging consultants, mortgage brokers and landscape professionals. You can also answer questions about the local weather, schools, business developments, housing trends, family activities, proximity to highways - anything that helps viewers understand why it would be great to live in your community. You want to be known as a hyper local expert and these broadcasts are one of ways to accomplish that. Pro tip: Keep the camera in the portrait mode so the comments are easy to read for you and your viewers. Real estate is all about relationships and trust. Live streaming creates a special bond between you and your viewers – they see authentic you right in the moment. Using Meerkat and Periscope is a wonderful way to put yourself out there and attract an audience that likes your style and is eager to engage with you. Hello perfect clients! 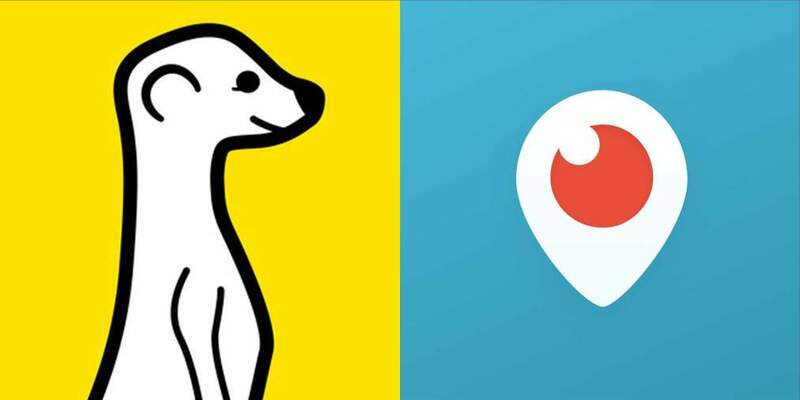 Have you been using Meerkat or Periscope? Share in the comments below. Want to raise your social media game?